We know that what works for one business to take payments may not work for another. So today we’re introducing a solution that will allow more businesses — everything from dry cleaners to dentists — to do business the way that they want. 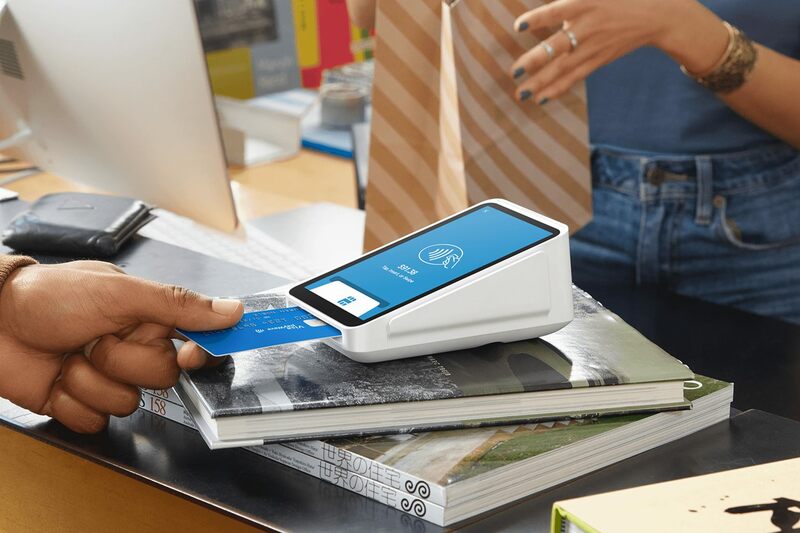 Square Terminal is an all-in-one card processing device designed to be fast, fair, and secure. With Square Terminal, you can ring up sales, accept all forms of payment quickly, and print receipts, all from one affordable and elegant device. You can use Square Terminal alongside your own point-of-sale solution, or you can use it as a stand-alone payment processor and manually key in transactions. Elegant design: Square Terminal has a unique, sleek design, giving any business a more professional look. Reliability: With a battery that lasts all day, Wi-Fi and Ethernet internet connections, and Offline Mode, you never have to worry about missing a sale, whether you’re taking payments at the countertop or bringing the terminal right to your customers’ hands. Transparent pricing: Pay one low, transparent, fair transaction rate of 2.6% + 10¢ for every dip, tap, or swipe payment, regardless of card type, and with no hidden fees. Support: Get 24/7 phone support, a one-year warranty, and the ability to try Terminal risk-free for 30 days. Quick setup: The intuitive design makes it easy for you to set up and train your employees. Secure: Data security, dispute management, and fraud prevention are all included in the flat processing rate. Square Terminal is available in the Square Shop for $399, or $37 per month for 12 months.1 If you’re new to Square, you pay just $99 for Square Terminal after a $300 processing credit. 1Subject to credit approval. Terms apply.